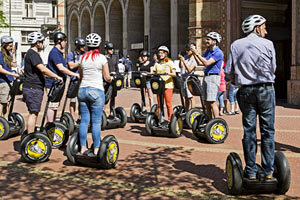 Do you want to see the city’s sights on a special sightseeing tour? 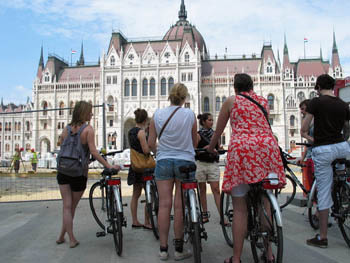 If you love to bike but don’t want exert yourself while exploring Budapest’s landmarks come and take an E-bike tour. 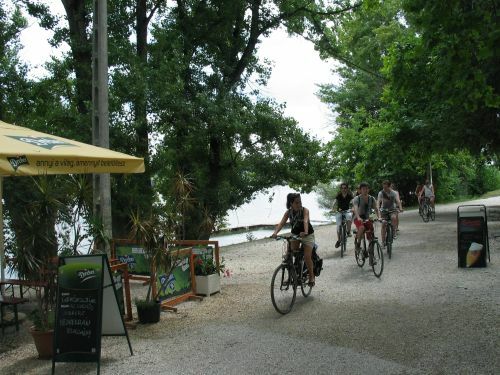 The electric bikes are an ideal way to roam the city and see such hilly areas like the Gellért Hill or Aquincum in Óbuda, a museum and historical sight a bit far from the city centre. They look the same as ordinary bicycles, but are powered by electricity: you pedal the same way but the electric power will aid you in climbing up hills or if you’re simply tired to pedal. You can ride up to 50 km (30 miles) with one charge. The bikes are in top condition and you’ll receive a helmet, gloves, a safety lock, basket (you can put a bottle of water and other things in it) and a map with every tour/rental. There are bikes for designed for men and women, child seat is also available. Recommended age is from 15 years. Driver’s licence is not required. A bottle of water is included in all 3 tours. Small groups, max. 8 people, with a professional guide. Why Go on an E-Bike Tour? 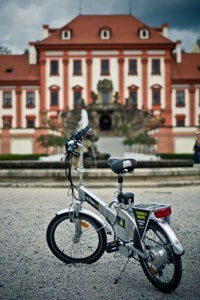 E-Bike Tours – See Budapest on Two Wheels, Save Time on Sightseeing! You can choose from three tours. Booking is with 10 % deposit through our secure, SSL encrypted webshop! The outstanding amount of the tour price is paid on the spot. You’ll receive a confirmation with all the details in e-mail after booking. 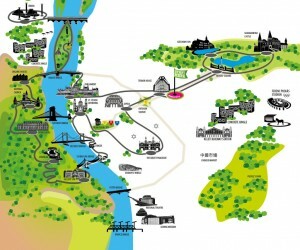 This is the shortest ride of the three and covers all the charming spots of Budapest in only 3 hours. You’ll see the most romantic face of the city illuminated by lights after sunset. Date and time: 01. March – 31. October 2017 every day at 15.30 and 19.00, Price: 40 EUR/person, a bottle of water is included. Tour Map – Click to Enlarge! This is a terrific tour where you can admire the amazing panorama of the city from the best view points, at 25 stops. Note: Water is included in the tour and you’ll also stop for lángos a savoury local snack in the Great Market and for refreshments (coffee or fröcss/wine spritz) on Margaret Island. the Danube Promenade and a lot more. Date and time: 01. March – 31. October 2017, every day between 14.00 – 19.00. Price: 60 EUR/person, a bottle of water is included. See how and where the locals live, taste what they eat. the Chinese Market in district VIII. a part of the former Jewish ghetto (distr. VII.). 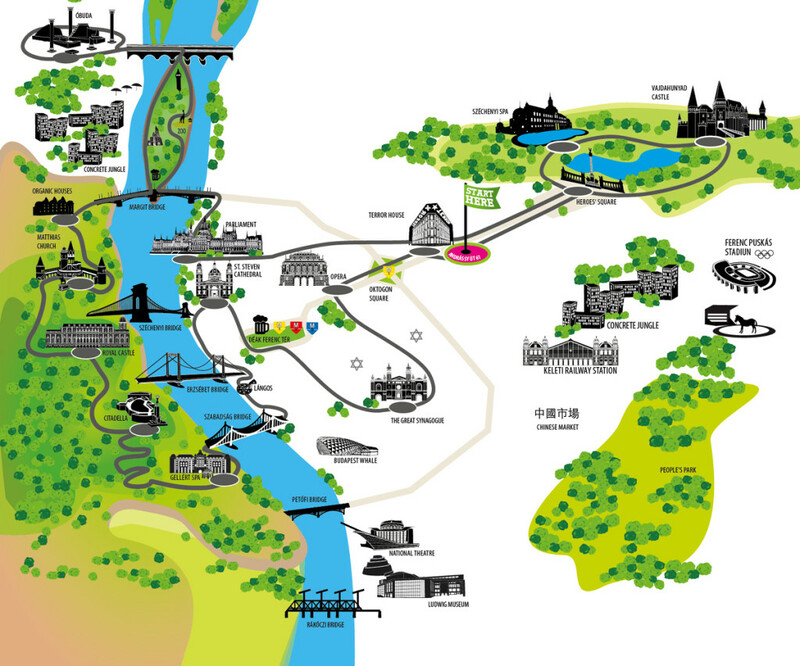 You will ride along the Pest bank of the river Danube and see the Whale/Bálna Cultural and Entertainment Center, the National Theatre, the Palace of Arts (MuPa).. Date and time: 01. March – 31. October 2017, every day between 9.00, Price: 50 EUR/person, a bottle of water is included..